This megastar's a one-man show, literally. 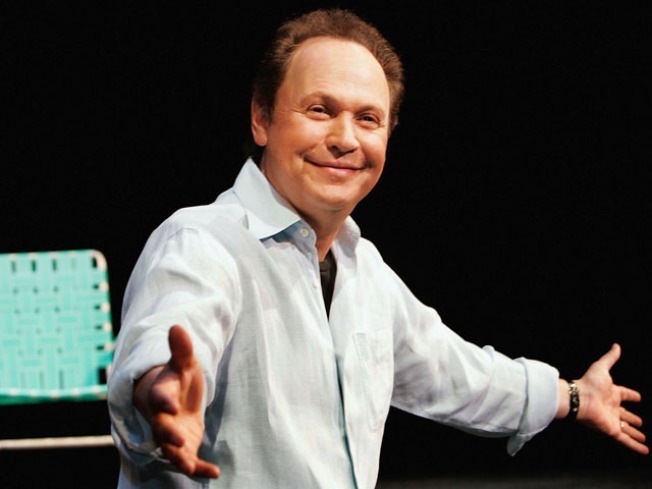 See Billy Crystal tell his tale at the Adrienne Arsht Center. A HARRY SITUATION: It's not everyday a big star like Billy Crystal comes to little ol' Miami. Sally's other half runs the acting gambit from, "All in the Family" to "Analyze That." Miracle Max will surely sell out, but don't despair, he'll be here until December 13. Adrienne Arsht Center for the Performing Arts, 8 P.M. THE GOOD CARBS: Okay, more like "feel-good carbs." From today until the 19th, Chef's Fest by Carbonell will give you three and four course fixed-price menus inspired by Spain's favorite olive oil. Visit the website for the list of participating restos. Trust us, it's worth the five-hour workouts that will ensue for the next week and a half. WE'RE TURNING JAPANESE: We know Sushi and Sake is your obsession. Heck, you'd eat it every day if you had a sushi chef on staff. Learn how to do it yourself with Sushisamba's Sushi & Sake 101 classes. Because that's how you roll. Sushisamba Dromo, 7-9 P.M.